In a crime-filled town run by thieves and gangsters, one man stands against the darkness. Jack Breeder possesses an inexplicable talent for finding things, even when someone doesn’t want them found. After ruining several high-value schemes, a dark underground syndicate decides Jack needs a career change. When a mysterious job, too good to resist, turns from a simple retrieval to a high stakes game of lost and found, Jack finds himself racing against the clock to save the people he loves. 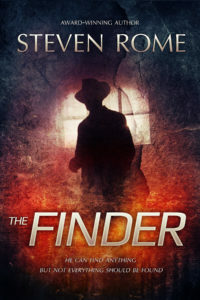 The Finder tells the tale of how far one man will go to save his way of life.